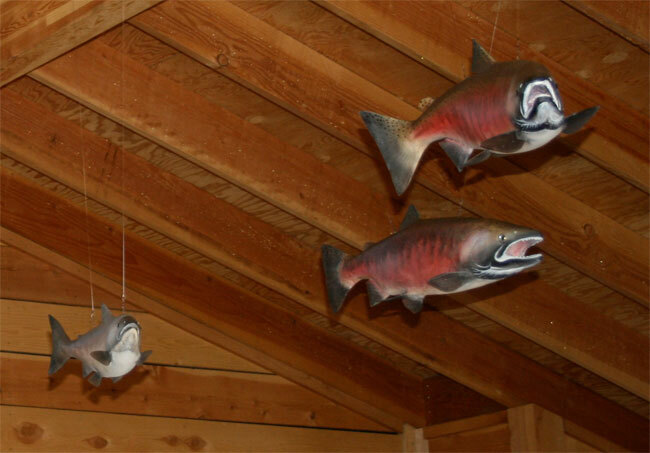 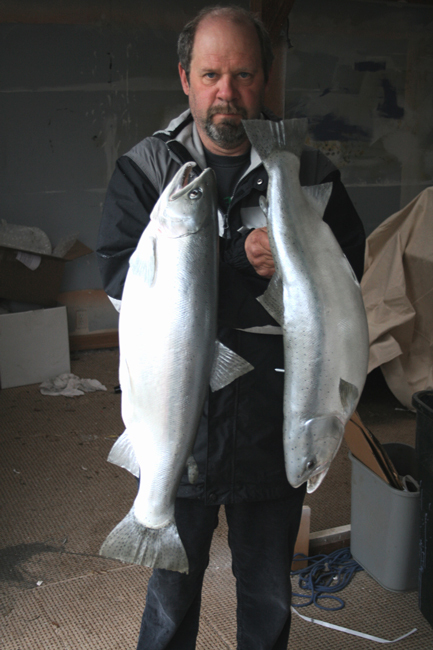 lumni Exhibits fabricated a naturalistic school of five Coho salmon to hang in front of the Orca model on display in the Bear Valley Visitor Center. 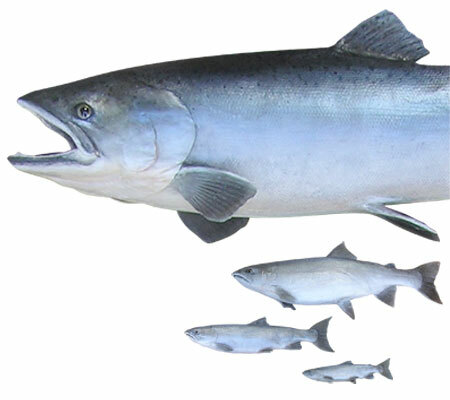 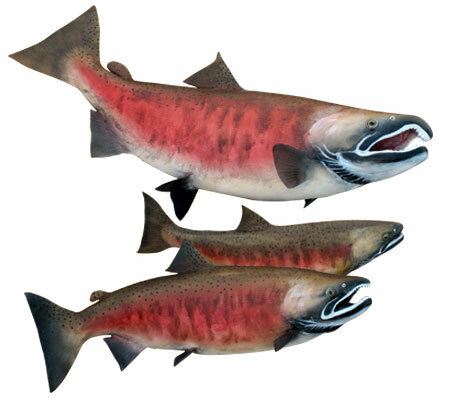 The five salmon are all different sizes and in different postures to closely resemble a wild population scattering in front of the hungry Orca. 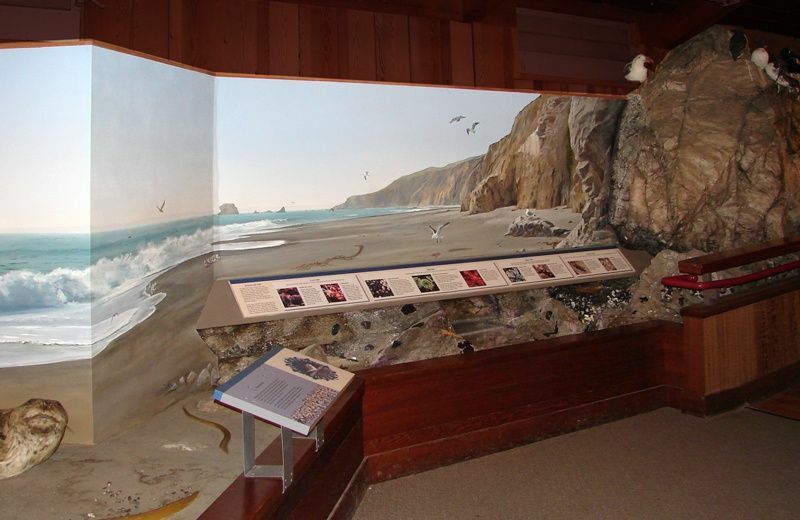 See more of our work at this location: Bear Valley Visitor Center, Point Reyes National Seashore, California. 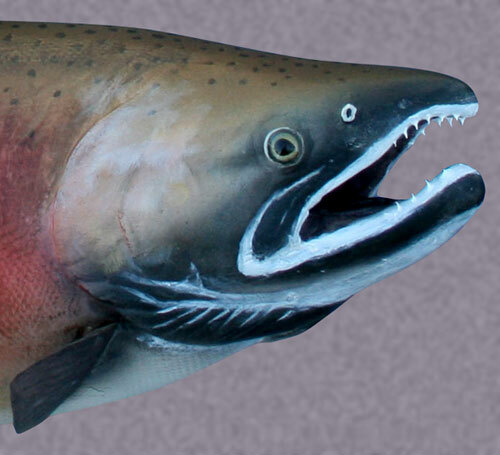 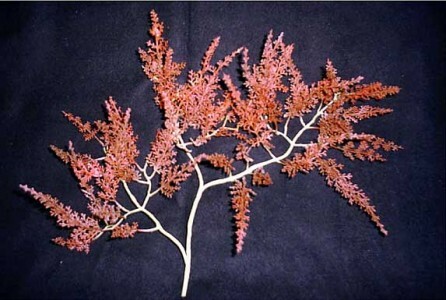 Plastic, wire, paint, natural bristles. 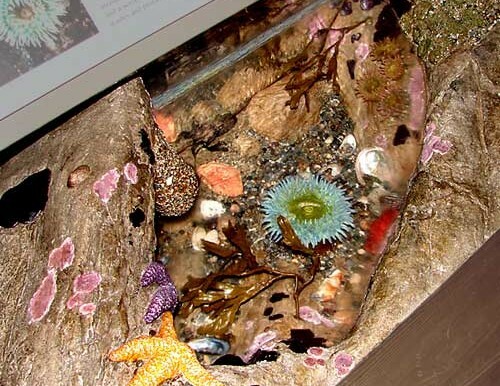 Overview of the interactive tide pool exhibit and mural. 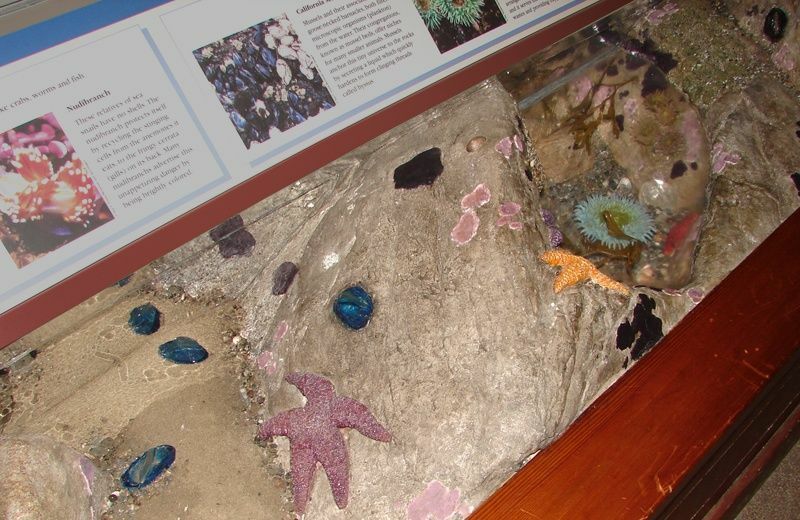 Alumnit Exhibits completed this interactive tide pool exhibit and mural for the Point Reyes National Seashore. 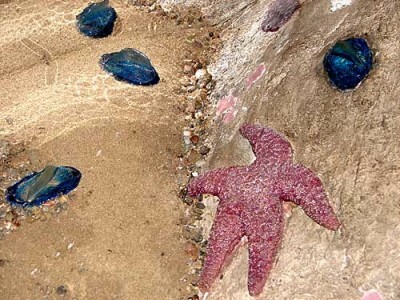 Interactive tide pool exhibit and painted acrylic murals. 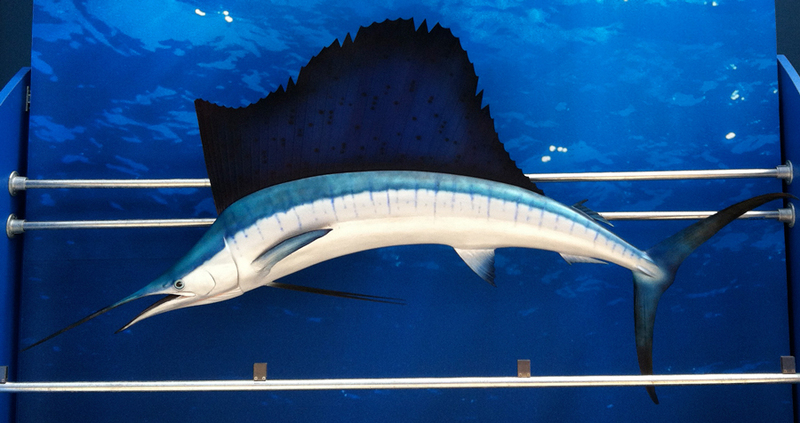 This Mako short-finned shark was painted and refined from a commercial fiberglass casting. 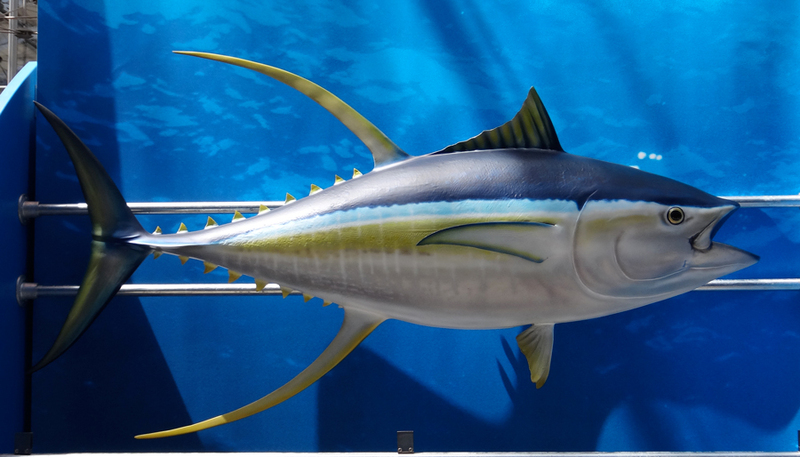 See more of our work at this location: California Academy of Sciences, San Francisco, California. 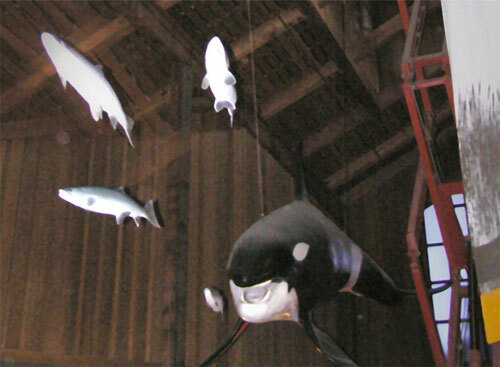 See more of our work at this location: California Academy of Sciences, San Francisco, California.